The General Putnam Motel is the very first place Vinny and Lisa stayed when they came to town. It is also the place where the steam whistle from the sawmill kept waking them up in the morning. 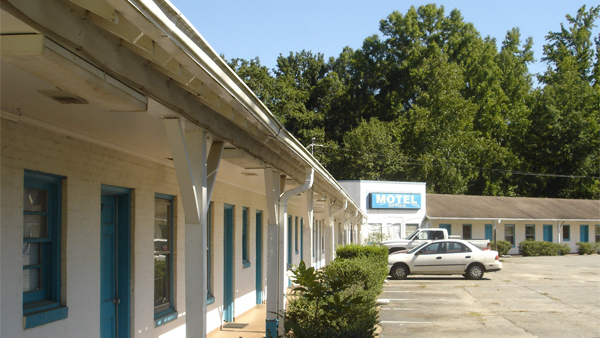 As of July 2012, the motel is still in business and appears to be in the same condition as it was in the movie 20 years ago, except for the updated signage. Personally, I like the vintage signage that we see in the movie much better since it has that old-style neon look which adds character. However, I’ll save my opinions for another post. Nevertheless, I spoke to the woman inside the motel office who claimed she had been running the motel for many, many years. According to the manager, the room that director Jonathan Lynn wanted to use for filming was too small to fit all the actors, film crew, and equipment needed for the scene. Therefore, the crew constructed a hotel room set in a neighboring town. I asked the manger if the room was currently vacant so we could take a look inside just so I could see the layout and could later compare it to the scene in the movie. She allowed us to enter the room and I can confirm that this is definitely not the room we see in the “dripping facet” scene despite rumors on the Web about this scene being filmed in room #11. After chatting with the motel manager for a while, she mentioned to us that she was recently approached by film location scouts who claim they were interested in filming a future episode of The CW’s Vampire Diaries at the motel as well as a movie starring Melissa McCarthy from CBS’s sitcom, Mike & Molly. 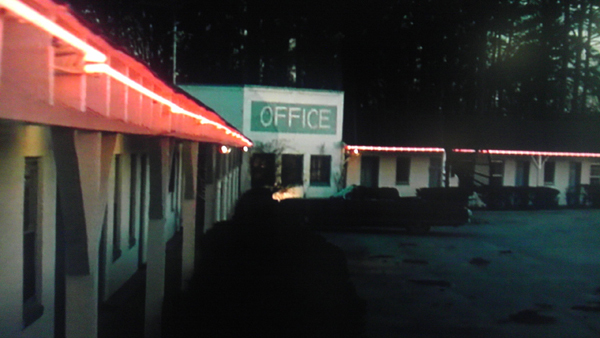 Lastly, the steam whistle scene (the scene when Vinny peeks through the blinds to look across the street at the sawmill) was actually filmed at Georgia-Pacific’s Southern Pine Sawmill in Monticello, which is 19 miles away from the motel – not across the street as seen in the movie. That’s me in front of the General Putnam Motel sign.